In conjunction with Marginalia (part of the LA Review of Books), Political Theology Today has organized a symposium on Ted Smith’s extraordinary new book Weird John Brown: Divine Violence and the Limits of Ethics. Over the coming two and a half weeks, we will host responses to the book from E. Brooks Holifield, William Cavanaugh, Peter Ochs, Keri Day, and Andrew Murphy, concluding with a response to the responses by author Ted Smith. Here is the first response, from E. Brooks Holifield of Emory University. Smith’s alternative is to see John Brown as a possible — the qualifier is necessary — “sign,” a “portent” of a “divine violence” that counteracts the “mythic violence” of the state (and of actors outside the state) by negating the structures through which state violence operates, exposing them to view and calling their authority into question. With this claim Smith begins to chart an elusive path, not because the exposition is unclear but because elusiveness, I think, is essential to the argument that Smith wants to make. John Brown’s actions and execution reveal the limits of the law and expose its hidden violence, which is precisely what occurs in a moment of divine violence. But those events cannot be straightforwardly designated as expressions of divine violence. Brown should receive a pardon, but not because he deserves it. Brown wrongly appealed to a higher law to justify his actions, but appeals to a higher law are legitimate. Why the elusiveness? Smith is trying to clarify what a Christian theology might offer to a discussion of a democratic polity. On the one hand, he is wary of an ethic (even a religious ethic) that calculates ends, duties, and consequences. Viewed as a guide to action within the political order, such an ethic assumes the legitimacy of that order and therefore implicitly legitimates the violence on which every political order rests. On the other hand, Smith is also wary of any code of ethics that presumes to represent the will of God. This presumption, as we know all too well, also intensifies violence. Ethical codes, moreover, establish precedents that leave no room for exceptions and foreclose free discussion and decision making. Conflicting codes, in fact, exacerbate the violence. So Smith asks whether the Christian tradition offers resources that enable one to say, in effect, that this violent order of which we are a part stands under judgment and that no one possesses the moral code that will set things right. But he adds that if we choose the indicative rather than the imperative mood for practical reasoning, the ambiguity is no cause for despair. The elusiveness results, finally, from the complexity of making one “concrete, historically specific, contingent claim about one massive and particular evil in the life of a particular polity.” The closer one gets to Brown’s raid on Harper’s Ferry, the more ambiguous it becomes. We do not yet know how it fits in the long history of race relations in America. But the ambiguities help us frame our own ethical reasoning about race, and they also support Smith’s preference for the indicative rather than the imperative mood in ethical reflection. Both H. Richard Niebuhr and James Gustafson were wont to say that the first step of ethical reasoning is to look as closely as we can at the concrete situation, the actions and reactions that give us insight into what is going on. Smith is looking as closely as he can at one event and trying to tease out its implications. And he is illustrating how theological assumptions can facilitate such a close look not by giving us antecedent moral certainties but by reminding us of the finitude in every presumed certainty. E. Brooks Holifield is the C.H. Candler Professor, emeritus, at Emory University, where he taught the history of modern Christianity for forty years in the Candler School of Theology. 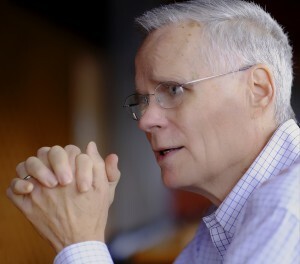 A graduate of Hendrix College (1963), Yale Divinity School , and the Yale Graduate School, he is the author of seven books on American religious history, including Theology in America: Christian Thought from the Age of the Puritans to the Civil War (2003), which won the Outler prize of the American Society of Church History. He was elected in 2011 as a fellow of the American Academy of Arts and Sciences. Very interesting review of an interesting book. I am looking forward to all the different contributors!